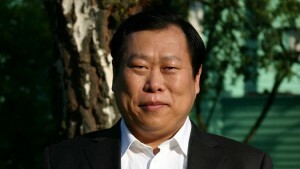 Xu Mingtang comes from a family of famous surgeons in China’s Henan Province. Beginning in early childhood, he studied Wushu with his great grandfather and learned Shamanic practices (Wu Yi) from his grandmother. While still a child, he began training with his first real teacher, an 80-year-old Shaman woman from his village. There he learned the spiritual healing methods and other practices that are central to the ZY Qigong system. He studied Traditional Chinese medicine along with his technical studies and his skills were so great that he worked as a hospital diagnostician during his third year of University. Grandmaster Xu started teaching ZY Qigong outside of China in 1991. Since 1998, he has led annual international Qigong retreats in Shaolin. As the current lineage-holder of ZY Qigong, he teaches ZY Qigong and Image Medicine to all levels of students. Currently, Grandmaster Xu divides his time between his teaching and research at Kundawell Institute in Beijing, and his many healing, teaching and speaking engagements throughout the world. Master teacher Claire Johnson grew up in China, apprenticed by lineage holder of ZY Qigong, Mingtang Xu since 1999, and practiced solitary meditations without food or water in Chinese and Tibetan caves. Claire combines her studies in psychology with qigong in her teaching and healing. Her approach is heart centered, as the heart opening is a most effective entry and pathway that unifies the person emotionally, energetically, physically and spiritually, gradually through practice, one becomes the “Zhen Rin”, or the true, genuine human being. Focusing on the emotional and informational patterns underlying the physical and energy illnesses, in healing, Claire looks at where the main energy holding is in the body or being, and what message that holding pattern has, and from which point this holding pattern can begin to untangle, and begin to release to the free flowing energy self that we are. The process is done in a group setting as Claire identifies a main energy blockage in the group, and work with movement, breathing, chanting and meditation exercises to begin to undo this blockage, allowing free flow. When blockages are released, one become more relaxed, and can allow more natural flow of energy to nourish and heal the being. This process of release and rejuvenation is taken to a finer and finer level, as a finer and finer inner awareness is developed, eventually approaching the energetic state of our true self, becoming and being our original soul, the Oneness. 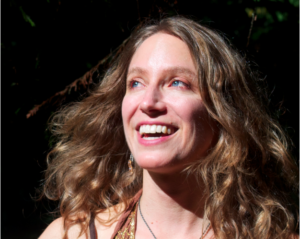 Claire teaches and heals with her husband Jerigtu throughout the US, Europe and Asia. Mongolian shaman and healer, Jerigtu comes from a family of well known Shamans, healers, herbalists and Tibetan Buddhist Rinpoches (Living Buddhas). His teaching and healing exemplifies his strong root as a Mongolian, connected to the endless grassland earth and the big heaven, connected to the ancestors and the lineages. As one of the most ancient cultures that have not yet lost their practice, Jerigtu as a Mongolian constantly reminds us of our eternal connectedness. His teaching is centered on re-connecting with our original soul and with the universe, and letting the wisdom we receive from this directly benefit our daily lives. He is the current lineage holder of the Taoist Sinew Transforming Classic practice. 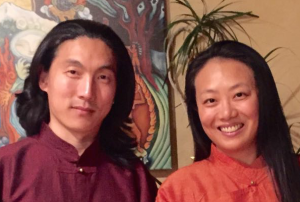 Jerigtu travels year round with his wife Claire Guyu Johnson, teaching and practicing traditional Mongolian medicine in the US, Europe and Asia. Dr. Martynova has had the unique opportunity and experience of being Grandmaster Xu Mingtang’s first organizer and translator outside of China and has over 25 years of experience practicing and teaching ZYQ. Through her writing and teaching she has been instrumental in bringing Zhong Yuan Qigong to the West. Dr. Martynova has a wealth of knowledge at her command and loves to share this with students. She is able to present ideas and information with clarity, as well as a sense of humor which is helpful in bridging the gap between the intellectual mind and the SELF that already knows. She is a joy to learn from. Dr. Martynova co-authored the Level 1, Level 2 and Level 3 ZY Qigong books, as well as many others. Jean Clough has been studying Qigong since 2000, training with Grandmaster Mingtang Xu as a personal student, and with Claire Johnson, both of the ZY Qigong lineage. She also studies Taoist Medicine, Tui Na and Qigong with Dr. Liu Dong and Master Liu He of Ling Gui Qigong School. A Level 1 ZY Qigong instructor since 2005 and Level 2 since 2013, Jean teaches regularly in the Seattle area, and has developed and led several “Hiking Qigong” adventures combining Qigong practice with trail hiking in the forests and mountains of Puget Sound. She owns and runs Seattle Advanced Bodywork Associates, a twelve-person massage, acupuncture and energy work clinic, where she has a busy massage/energy healing practice herself. Jean is also a Reiki Master and a Certified Wilderness Leader through the Wilderness Education Association. In addition, she is a Certified Spiritual Healer and Licensed Minister with S.H.E.S, the Church of Spiritual Healing and Earth Stewardship. Jean was a founding member of ZY Qigong non-profit organization (NA ZYQ), and is the director of East West Wellness Enterprise. Starting in 2016 Jean has been teaching Guo Lin's Walking Qigong for cancer. Jean says, “I am inspired by the power and healing available through Qigong training. With regular practice one can transform their health and mental state." A cultural anthropologist, writer, certified qigong instructor and wilderness expedition leader, Karen is fluent in Mandarin Chinese and holds a Masters in Public Health from UC Berkeley. She is a private student of ZY Qigong Grandmaster Xu Mingtang and has studied intensively with him at Shaolin Monastery in China and has traveled with him worldwide. She is also a private student and translator to one of China’s top Master Chinese Medicine doctors, Dr. Zhao Fuxue. 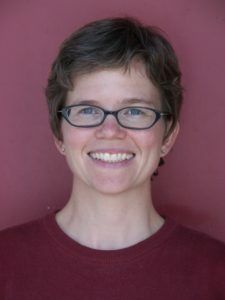 Karen speaks and teaches qigong in nonprofit and corporate settings and at conferences such as Seattle Bioneers, Women of Wisdom and Oregon State University’s Annual Gerontology Conference. In addition, she is the innovator of QiDancing (a unique combination of qigong and dance) and teaches it internationally. As founding board president of the North American ZY Qigong not for profit foundation, Karen is a bridge between East and West cultures. 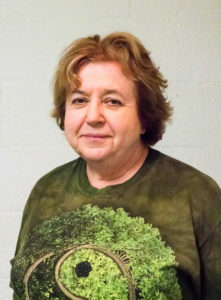 Karen has studied Barefoot EarthWisdom ways for many years with Mick “The Barefoot Sensei” Dodge and leads qigong and earth-based movement programs at renowned retreat centers including Breitenbush Hot Springs in Oregon and Omega Institute in New York. She also leads wilderness events and treks in the Pacific Northwest and in Western China. She combines the fundamentals of Qigong practice with trainings that include work with stones, staffs, and ropes with trees. Karen helps people reconnect with our Earth and ancient and modern wisdom to ignite inner Joy. For more info on events, workshops, weekly classes and China Wilderness treks, see Karen’s website at: QiDancing.com. She regularly travels to and studies in China; visit her blog and join her China adventures: Being Joy: Adventures in Qigong and the Mystic Arts in China.